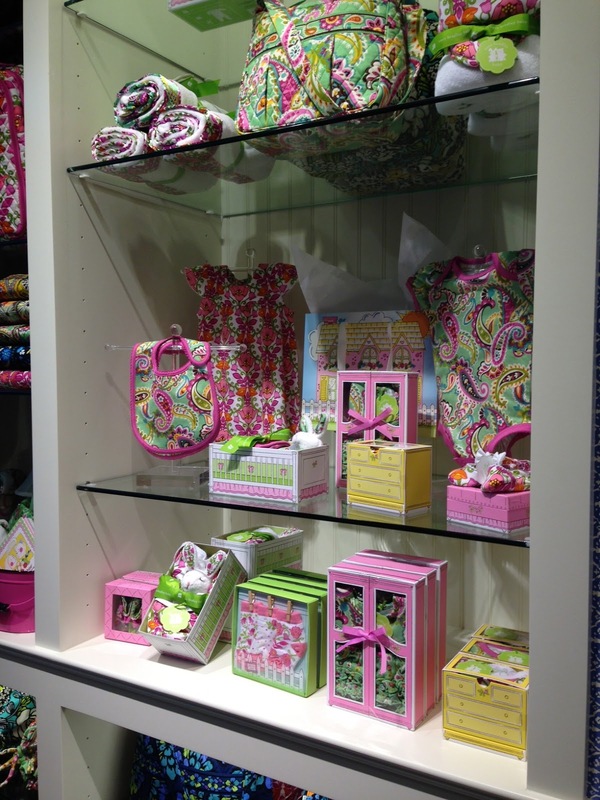 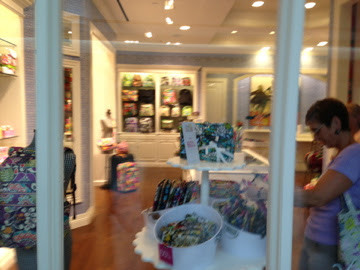 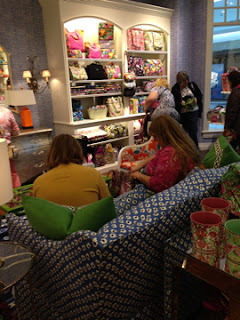 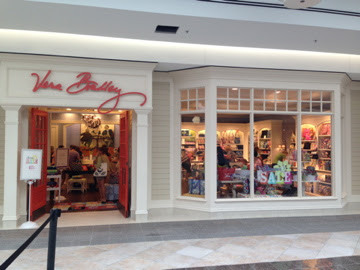 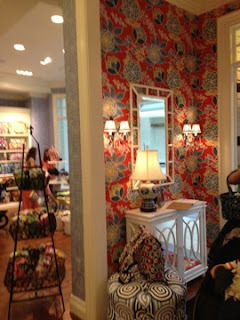 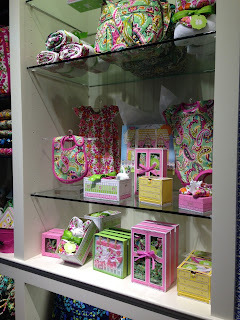 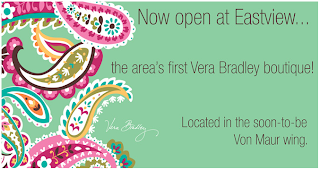 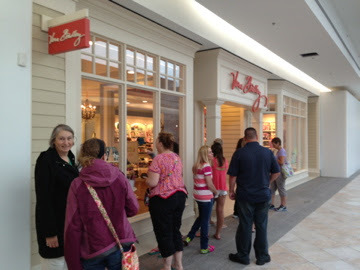 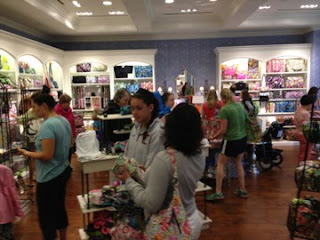 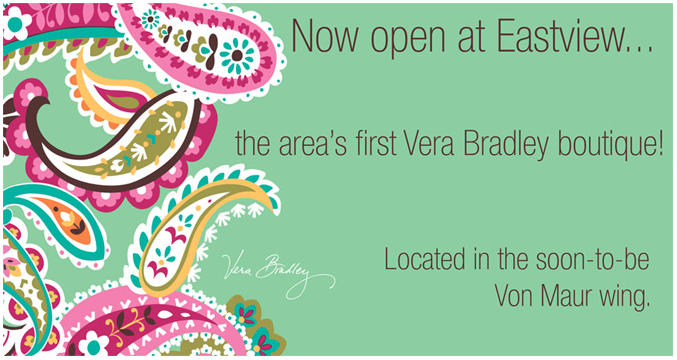 Vera Bradley just opened up a new store at the Eastview Mall in Rochester, NY last week. 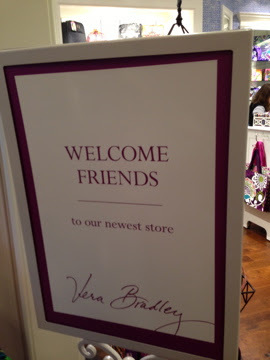 OhMyVera reader Rose sent me some great photos to share everyone. She said the staff were excited and helpful, plus the deals they had were great. She was able to take advantage of the free beach towel with any purchase of $100 or more, plus they gave out $20 off coupons for later in July. Such a beautiful store! 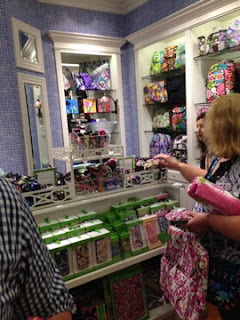 Thank you for sharing Rose!